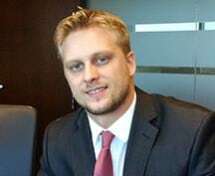 Matthew Nieuwland is an Associate Lawyer at Smitiuch Injury Law. After articling with the firm, he was Called to the Bar on September 23, 2016. He will be working directly for the firm's Principal, Michael Smitiuch, on personal injury matters. While in law school, Matt was an executive of the International Human Rights Club and a member of the Faculty of Law's rugby team. During his undergraduate studies, he was a proud member of the University of Guelph's men's soccer team and a three time Academic All-Canadian. He was also employed as a student-athlete mentor and was tasked with helping his fellow student-athletes balance the rigors of varsity athletics and full-time studies. Matt is fully bilingual. In his spare time, he enjoys spending time with family and friends, playing sports, and working on home renovations.